A few days ago, I was at The Trendy Los Angeles Coffee Shop, waiting for My Trendy Los Angeles Coffee Shop Coffee. In Los Angeles, when you place an order for Trendy Los Angeles Coffee Shop Coffee, they don't just write down you specifics on the side of the cup -- they ask you for Your First Name and enter it into A Computer. When I first moved to Los Angeles, I detested this aspect of Trendy Los Angeles Coffee Shop Life. In New York, you could order your coffee drink, remain completely Anonymous, and Wear $3 Vintage Dresses. In Los Angeles, when you order your coffee drink, Your Name better be as Hip as Your $300 Designer Jeans. On this particular visit, I seemed to be waiting An Awfully Long Time for My Trendy Los Angeles Coffee Shop Coffee. People who had been on line behind me were receiving Their Trendy Los Angeles Coffee Shop Coffees left and right. I decided to Speak Up. "I think you forgot to make My Drink," I said sheepishly. "Oh. What’s Your Name?" the Trendy Los Angeles Coffee Shop Employee returned. He winked. "The Daily Randi?" I replied. I impatiently waited while he slowly scanned several computer screens searching for My AWOL Order. In fact, in the amount of time it took for him to locate Said AWOL Order, he could have easily poured Two Shots Of Espresso And Freshly Steamed Non Fat Milk into a paper cup and I would have Finally been on my way. I sighed deeply and repeated. "The Daily Randi!!!! "Well…You look more like A Daiquiri to me," he grinned. "WHAT?" I said. I had no idea what he was talking about. "I just want My Trendy Los Angeles Coffee Shop Coffee! You don't sell Daiquiris here! Do you?" I stood there, suddenly considering a slightly more adult beverage. "No," he laughed. "Your Name. You said you were The Daily Brandy but you look more like Some Sort Of Rum Concoction. With An Umbrella. Your drink should definitely have An Umbrella." Incredulously, I stared back at this man. Was he using This Horrible Pick Up Line on Me? And did he actually think it would Work? And was he ever going to make My Trendy Los Angeles Coffee Shop Coffee??!! One million years later, My Drink was made. I am convinced The Trendy Los Angeles Coffee Shop Employee took his time on purpose. "The Daily BRANDY!! Your drink is on the bar!" He leaned over the espresso machine and Smiled. "Thank you," I said to The Leering Employee. 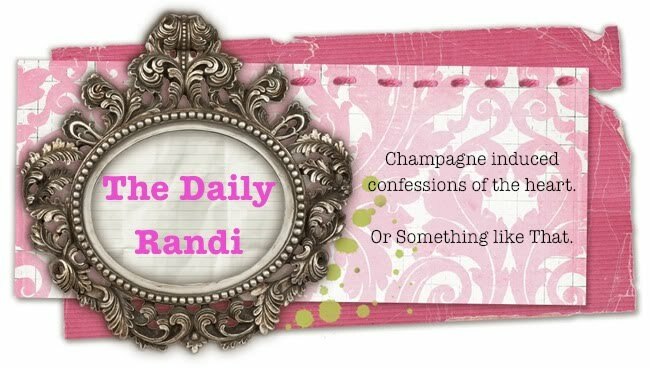 "But, just so you know, My Name is The Daily Randi, not The Daily Brandy." Then, grabbing My Trendy Los Angeles Coffee Shop Coffee I marched out The Trendy Los Angeles Coffee Shop Door with Nary A Smile. HA! If you are going to try to pick up a girl using a line which is 100 Years Old, please attempt to get The Girl's Name Correct first. Or, at the very least, her Trendy Los Angeles Coffee Shop Coffee Order. (laughing. . . .. again). Well, I'm guessing that it was so much better to make a (bad) joke using "Brandi" and "Daquiri" than something alot more elicit by using Daily Randi and a synonym for "randy". Just guessing that would have made you want to stop going to Trendy L.A. Coffee Shop. P.S. I will be waiting for you by The Monkey Bars. ** We can Hang. **Don't worry! -- There won't be any actual Monkeys. I saw this happen three times last week. ON TV. I think it's time you came clean that this story was lifted directly from the most recent episode of CSI: New York.